Clearly, Austin is a great place to live. 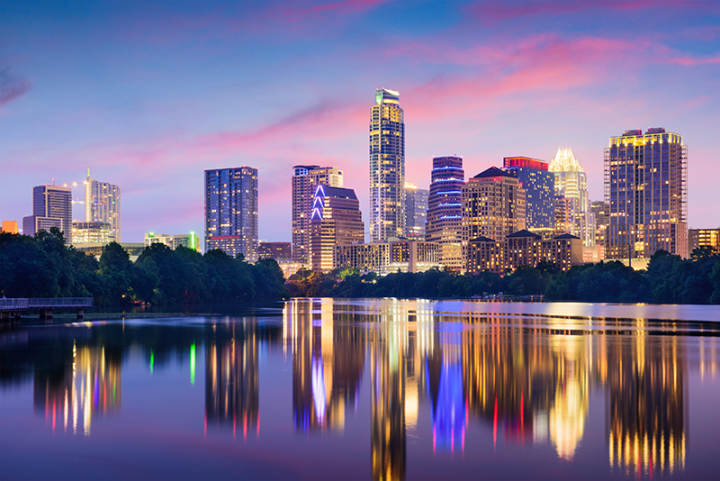 But if you are moving, or considering moving, to or within Austin, it may be more beneficial than ever for you to have this list of 10 Resources for Moving in Austin, just to help make your transition a little smoother! Austin has made a good effort to provide a site with lots of great resources, including information for Residents, Businesses, and Development. You can find a list of neighborhoods, events, transportation, local headlines, how to file for any business licenses you might need, and news from the City Manager. This is the best place to get a well-rounded overview of the city and its goings-on. A few things you will need to get squared away after moving in Austin are your property and/or vehicle taxes, licensing, and voter registration. Get all of that accomplished (or find out where to do it) using this handy site. If you are committed to buying a home in Austin, this site is powered by the Austin Board of REALTORS® and can help you find a property or a realtor in Austin. If you are going to be renting instead of buying, you might want to become well-versed in the regulations for renting in Austin, Texas. This site includes a wealth of info, including fees, rights, and tips for renters. Touted as “the easiest way to find an apartment in Austin,” locals swear by this tool to help find rental units, which features a list of filters and a map of results. If you have school-aged kids, picking a place to live can also mean looking for the best fit in schools. This map provides a graphic map featuring pins for each school, color-coded with their ranking according to the Texas Education Agency. Just click on Austin to get started. This handy site allows you to set up your electrical, water & sewer, and trash pickup within the city limits. If your new residence requires gas services, simply click here to set up gas in most of Austin. The companion website to a free printed publication of the same name, this site is loaded with resources about Things to Do, Housing, Neighborhoods, Schools, Jobs, Events, and more! You have a lot on your mind. Let us take on the hassle of moving for you. We have packing and moving experts who can make it as painless as possible for you to relocate. Click for rate info, or use our handy tool to receive a custom quote! We wish you the best luck with your move, and hope this list will help! Contact us with feedback or for additional information.